Most Karen people live in the hills below higher mountains in the eastern part of Myanmar. 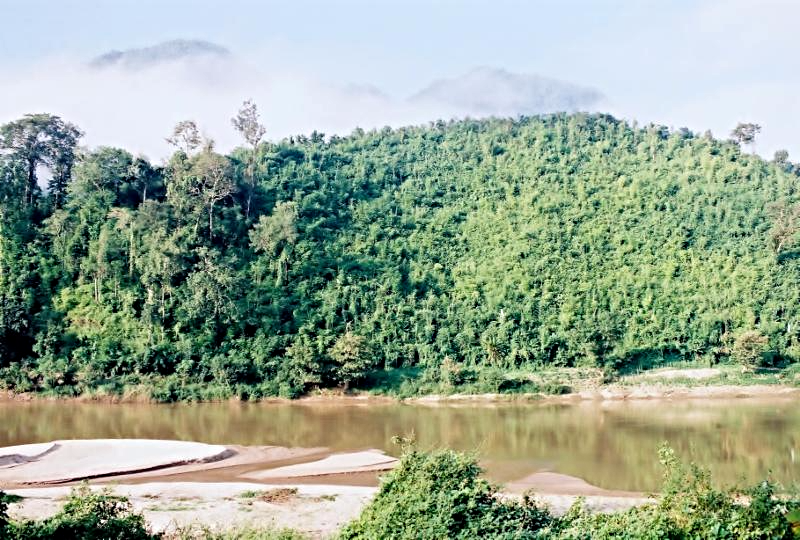 The Karen people whom the author had contact with in the late Sixties and early Seventies, lived inland on the Burma border in the Kwae Noi river valley. 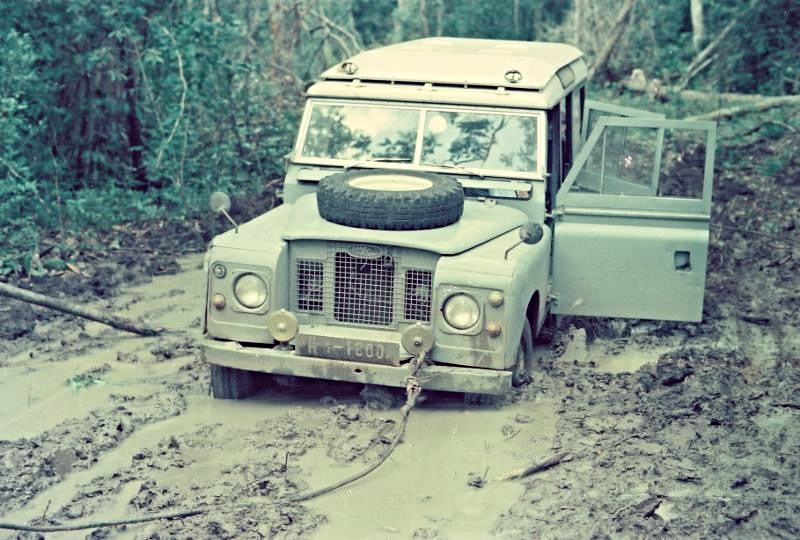 In the early 1970's, three Thai guys - Khun Toy, the son of a prominent member of the Thai government, Khun Chang (elephant in Thai), a colonel in the Thai Communist Suppression Agency, a Thai mechanic, and I took a Land Rover on a great adventure some 150 kilometers north of Kanchanaburi, Thailand and south of the Three Pagoda Pass Burma border crossing. 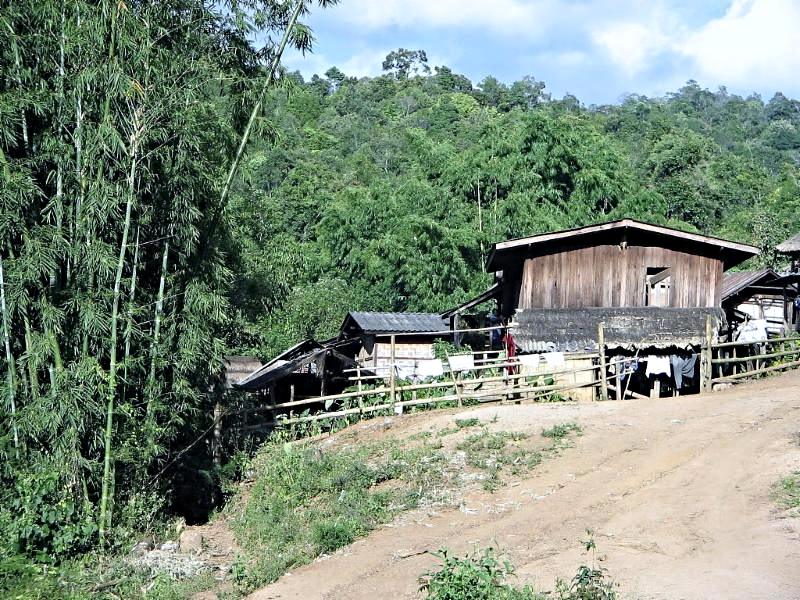 We spent a week or so in a Karen Village much like the one pictured above. The concept of travelling with a mechanic becomes very obvious when you consider the various obstacles to a leisurely drive. There was another Thai guy, in the otherwise Karen village, overseeing an antimony ore smuggling operation from Burma in this very remote area. I could not quite figure out the economics of hauling antimony ore in burlap bags until a fellow walked into the village clearing with two women carrying massive burdens on their heads. He asked in Thai if anyone wanted to buy opium. As Khun Toy and I were the only members of our group in the village at the time, there were a few tense moments. I was the first Caucasian this gentleman had ever seen. Moreover, he was more heavily armed than we were as Khun Chang was in Burma with his M-16. Nonetheless, some polite Thai words by us - combined with a 45 magnum Smith & Wesson pistol on Toy's waist and a double barrel twelve-gauge shotgun near me - and, lo and behold, everything sorted out. However, I then figured out the antimony ore smuggling economics when a kilo or two of opium found its way into the odd bag of ore. Although many of the hill tribes were deeply involved in the cultivation, consumption and sale of opium, the Karen people did not fall into that category. The Karen villagers were hugely pleasant though none spoke Thai. We lived on venison, rice and chili peppers, prepared by us and shared with them. Before sundown we would go down to the river and all bathe together. It is amazing the utility of a pha kha maa (sarong) to cover you up while bathing, to towel off and then wrap around you to head back to your hut. Their favorite delicacy was gibbon and they asked we shoot one for them. We obliged but went back to our standard venison at mealtime. The Karen mothers were proud that their young children could smoke mountain tobacco rolled in plant leaves. They believed smoking kept tuberculosis at bay. The Thai overseer of the smuggling operation had his tuberculosis cured a month later when he was killed in a shooting. 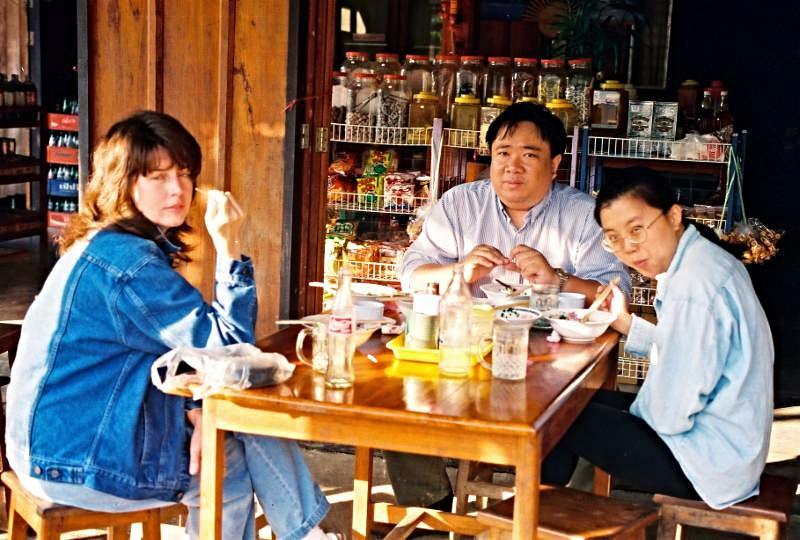 Twenty-six years later, Joey, Khun Ping, Khun Pong and the author visited Mae Sot to have a look at the Karen refugee camps though they were cordoned off with very tight security. We were able to find a noodle stall nearby though we were admonished to leave our weapons in the vehicle and we followed instructions. If no one seems happy in this image, we arrived late in a mountain "resort" the night before and they were closed. The caretaker finally relented to let us stay without food or linens. However, we did not know how lucky we were as several weeks later a tour bus was ambushed on the way to the same resort. Some bad guys threw a grenade in front of the bus and as the passengers got off the bus they were gunned down. The motto here: Do not be too critical of your accommodations in remote areas and always stay on the bus if someone throws a grenade in front of it.